Me...quite a few years ago (I'm guessing on the year). 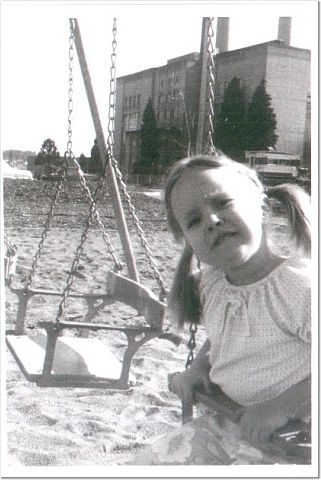 This was taken in Renton at Lake Washington (before it was called Coulon Park) in front of the old Boeing smoke stacks...I think there's a condominium there now. Obviously, I didn't take this snap shot, I'm just the subject...must have been my Mom or Dad.